On 19th May 2018, the country sat agape as the strains of Sheku Kanneh-Mason’s cello soared through St George’s Chapel and out of our TV and radio sets. Young, spine-tinglingly talented and—unusually for the somewhat homogenous world of classical music—black, he was the Royal Wedding’s unsung hero. Yet Sheku didn’t appear from nowhere. Among the many significant milestones in his already hugely promising career had been a Proms debut in 2017 as soloist for the Chineke! 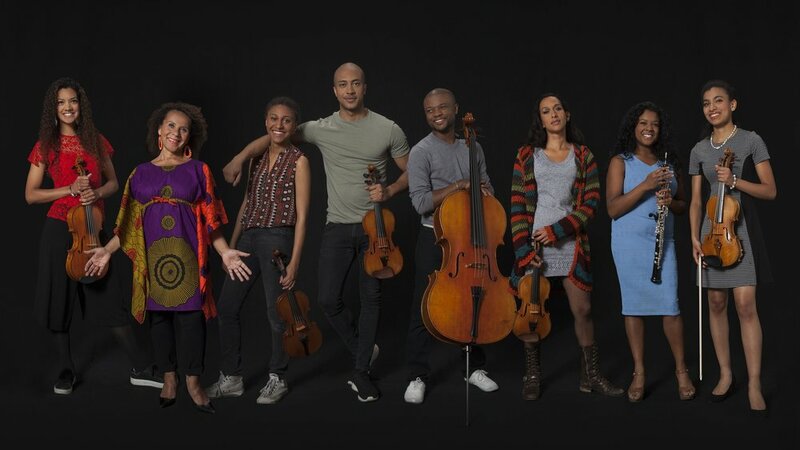 orchestra, Britain’s first majority black and minority ethnic orchestra. 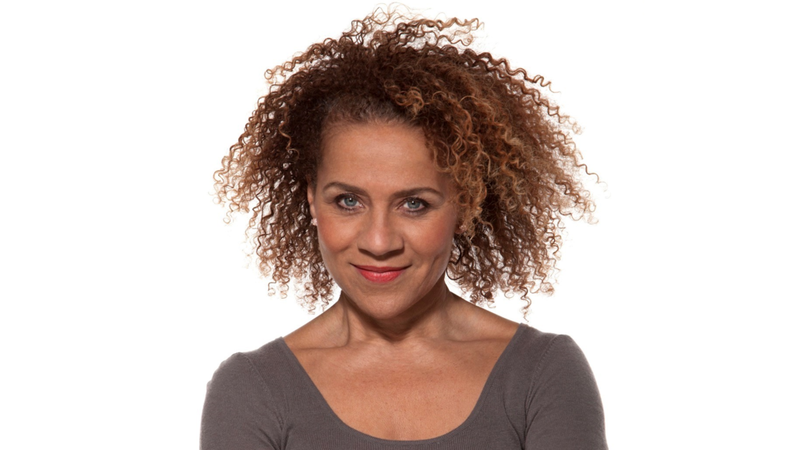 That ensemble’s founder, and a notable influence on Sheku, was the rubber ball of talent and energy that is Chi-chi Nwanoku. Born in London to a Nigerian father and an Irish mother, Chi-chi grew up the eldest of five children, and was destined to be a professional sprinter before a career-scuppering knee injury took her off the track and onto the stage. She studied double bass at the Royal Academy of Music (where she still teaches regularly), worked as principal double bassist for several major ensembles and presented radio and TV programmes on the lives and careers of black classical composers and performers from the 18th century, before founding Chineke! three years ago. You were on Desert Island Discs earlier this year. What was that like? When I first got the email, I thought it was a joke. You never think that will happen to you, and yet there it was, in black and white in an email. In the end, I couldn’t get my discs down to eight, so I arrived with 11 and they had to wrestle three of them off me. I was actually quite scared, sitting at the table opposite Kirsty Young, but when the theme tune started playing I just fell about laughing. We did it in one take: Kirsty is warm but serious and has real depth and gravitas—she clearly does her research, and you know you’re in good hands. When we got to talking about my dad singing Twinkle Twinkle Little Star to me when I was a child, I just disintegrated. The tears poured down my face. I knew my voice had gone up into a squeak, so I asked if we could record it again. She said, “No, absolutely not. You were coherent, and it was authentic. We are keeping that in.” She is for real, that girl. She talked to me about my life like we had been friends for 15 years. Your mother and father met at a dance in London in 1955. How did people take to their marriage? My mum was rejected by her family when she married my dad. It’s an incredibly sad story—though my grandmother did come to London unannounced when I was three months old. Mum had continued writing to her about her job and her life—and she was clearly reading the letters, because she arrived on their doorstep. It was my grandfather who, sadly, cared so much for what people thought. My grandmother got on with my dad like a house on fire, but then everyone loved my dad. When we moved to Kent when I was six, we were the only black family there, but we were so welcomed because dad was just so adorable. He was so warm and wise—and small, like me. How was it, growing up in an all-white community? After playing the piano, where you’d have to learn fistfuls of notes, it was a piece of cake only reading the bass line. I was in the school orchestra by my second lesson: still, by the time I came to audition for the Royal Academy of Music, I had been playing for just two and a half years. I was grade seven, and getting better all the time, but my technical ability was not the same as those who’d been playing since they were nine or 10. When I got my reply from the Academy and they said I was on the reserve list, I was horrified. I didn’t have a back-up plan because my double bass teacher hadn’t allowed me to apply anywhere else. It’s thanks to a friend who I’d made at the audition, Paddy Flanagan, that I ended up getting a place. He got in, but decided to go to the Royal College of Music instead. I still thank him every time I bump into him. You started at the Royal Academy of Music as the last double bassist in the bottom orchestra, but graduated with the Principal’s Prize and the Eugene Cruft Double Bass Prize. Was your determination partly driven by that initial assessment of your ability? Not at all. I never went in thinking, I’ll show them. I thought I was the worst player. I was the worst player. But I was just so excited to be a student, in that place where music was made at the highest level and teaching was at the highest level. I was so absorbed in all there was to learn and do, I was like a little sponge. I was given a second opportunity in life, and I grabbed it with both hands. One of my favourite slogans is, “If one door closes: open it. It’s a door. That’s what doors do.” I never expected anyone to open doors for me in life. I always opened them myself. A big part of your mission with Chineke! has been to make music colleges more accessible to BAME students coming from state school backgrounds. How successful have you been in that respect? When I was setting up Chineke!, I spoke to the principals of every music college in the country, and asked for scholarships. When I had come to the Royal Academy of Music it was on a full means-tested grant—and I’d actually come from a grammar school, where they taught music. Most state schools don’t even have that these days. I said to the principals, “If someone from a state school even makes it to the front door to do an audition, and they have the grades, give them a scholarship—because that was me 40 years ago.” The Royal College of Music and the Academy have created three scholarships now, specifically for BAME students. In fact, a few of the musicians from our Chineke! Junior Orchestra are recipients of these awards for next year. I believe in equity: don’t give children exactly the same—give each child what he or she needs in order to succeed. Giving children from the Yehudi Menuhin school a scholarship is ridiculous: they have privileges already. Give them to children who need them and watch what happens! Championing diversity in classical music is your raison d’etre these days. How did you end up on that path? I had always known there was a lack of diversity in classical music. I just never thought to do anything about it—I never imagined I was able to. The moment I realised I had more clout than I credited myself with was in 2014, when the culture secretary Ed Vaizey called me into his office in Westminster for a chat. He said, “Chi-chi, why are you the only person we see walking onto a major classical music platform?” He didn’t say “the only person of colour”. He said “the only person”. So, I didn’t know what he was talking about—and then when I realised, I pretended I didn’t know for a bit longer, just to make him sweat. Then I said, “Being a musician is my job. I have never defined myself by the colour of my skin—that’s what you see. But now I know what we are talking about, we can have that conversation.” And I sat there and realised I could count on one hand the people of colour in this country that I had worked with, and three of them were singers. So, what on earth inspired you to create a whole orchestra? And so the idea for Chineke! was born? I walked back to the station after the concert thinking, this is the 21st century. Why is it a novelty that there is more than one black face on stage playing Beethoven? I looked to my right, and to my left, thinking, someone has to do something—and then I said to myself, “Stop looking around you Chi-chi. It’s you. You have to do something.” The next day I phoned every musical establishment in the country. I phoned the government, the British Council, Southbank, the Barbican and every conservatoire in Britain. All of them invited me in for a chat. The first person I met up with was Gillian—and there were tears in her eyes. She was there at that epiphany moment at the reception, and she said, “Chi-chi, we have waited years for you to come forward with an idea like this—because it needs to be led by one of your own.” Those were her words. That was what drove me. Chineke! became inevitable. So, undercover, I rang and wrote to all the soloists I had ever played with, asking if they’d ever noticed anyone who looked a bit like me, and I rang all the conservatoires and asked them the same. One thing led to another and the word spread. How did you ensure they were good enough? I didn’t just book them because of their skin colour. They needed to be good. Damn good. We had to fly when we launched, and fly in the face of all the naysayers. I had to check them out, go to a concert, find recordings on disc or YouTube, find old teachers and colleagues. It would have been much quicker to audition, but how do you get people to audition for something that doesn’t exist? I didn’t even know if I could advertise for BAME players and it be legal—though I have since spoken to someone in the Arts Council who has said what I am doing is positive action, not positive discrimination, and that in future they would help me word any advert. And did you ever worry that the orchestra was being ‘exclusive’? No, but I am really glad when people say that, as it gives me an opportunity to talk about it. We don’t call other orchestras racist—of course we don’t—but next time you are watching one, have a look and think, would you ask them the same question? Because the entitled assumption is that that is a ‘normal’ orchestra. Time and time again, blind auditions have shown BAME players make it to the final rounds of auditions, only to be knocked out when the screen is taken away. One of our colleagues was knocked out of the rounds for several regional orchestras, then in a completely blind audition got into the New York Philharmonic as principal trumpet. Our first concert needed to be all-BAME. We needed to change perceptions. But now, white players are welcome to join us! They do join us! They just need to share the philosophy and mission of Chineke! : to want the orchestras of the future to be more inclusive and reflective of the community we live in, as well as being excellent players. When did you decide to create a junior Chineke! orchestra?